This month, let’s discuss Rosa Luxemburg, whose life was cut short by right-wing troops in early 1919. 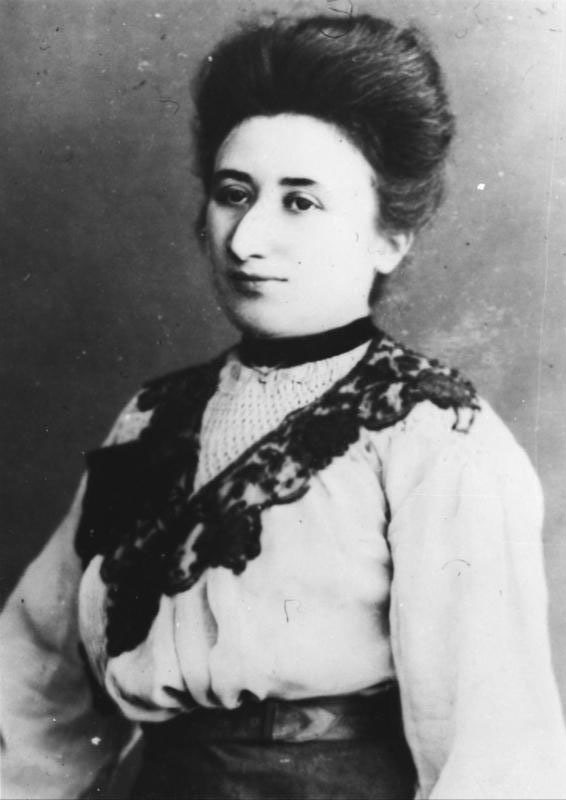 Born in 1871 into a Polish Jewish family, Luxemburg grew up to become a Marxist theorist, peace activist and revolutionary socialist who would go from the SPD (Social Democratic Party) to KPD (Communist Party of Germany). Alongside her comrade Karl Liebknecht, Luxemburg founded the Spartacus League to oppose Germany’s entry into the First World War, and would speak out vehemently against the country’s shift to the right during and after combat. On January 15th 1919, she and Liebknecht were murdered by the ‘Freikorps’, war veterans, many of whom would join the bourgeoning National Socialist movement. With the outbreak of violence on all sides out of control, the parliament would soon depart from Berlin, and assemble in Weimar as the eponymous Weimar Republic began – in chaotic conditions.